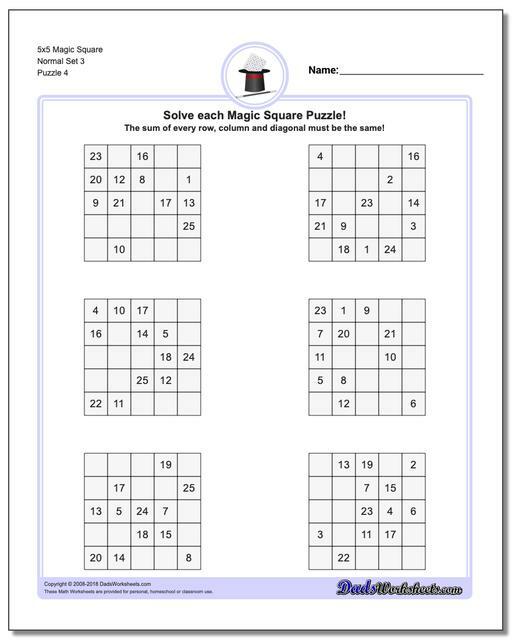 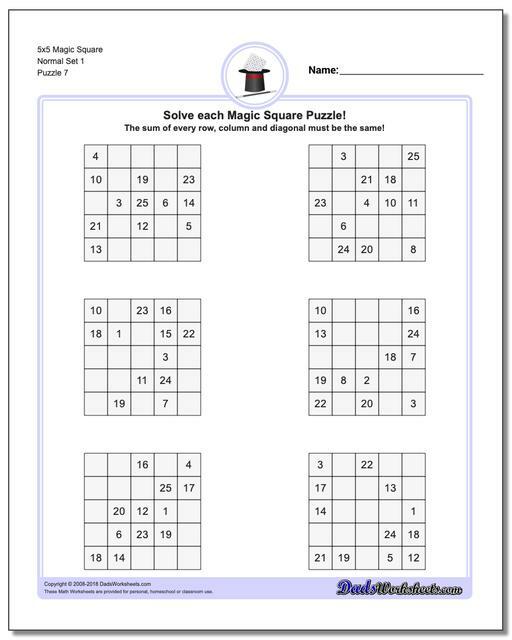 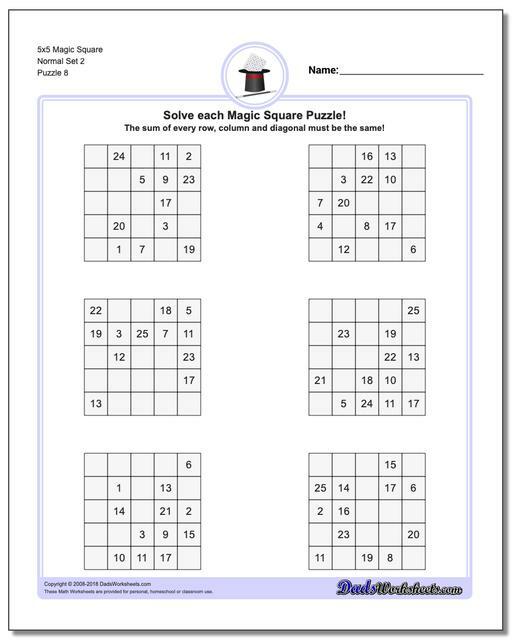 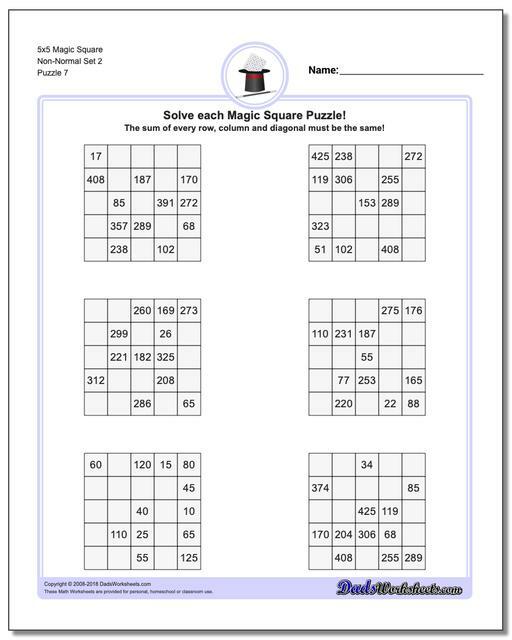 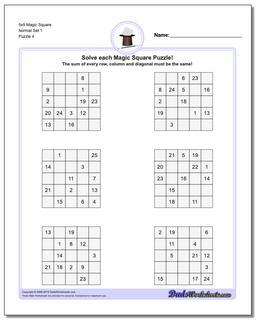 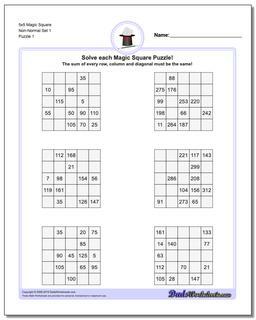 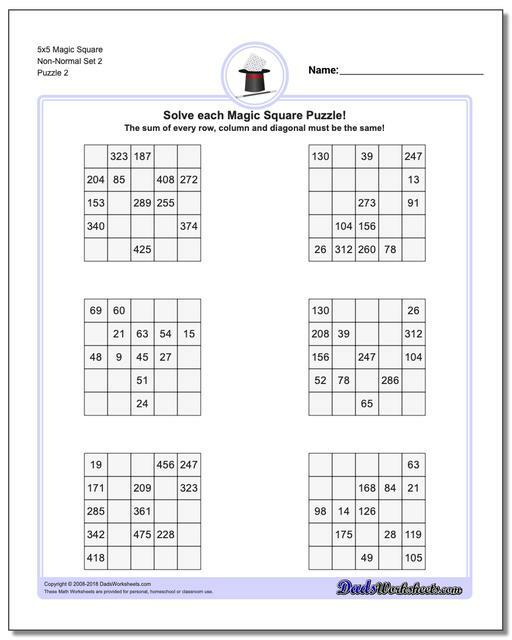 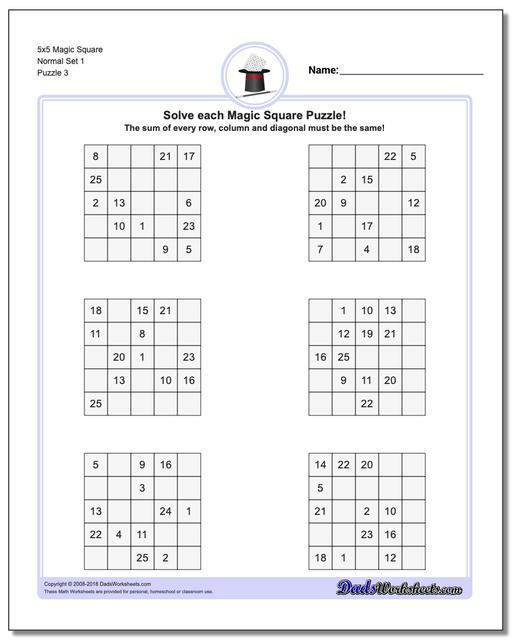 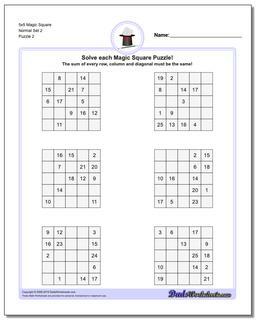 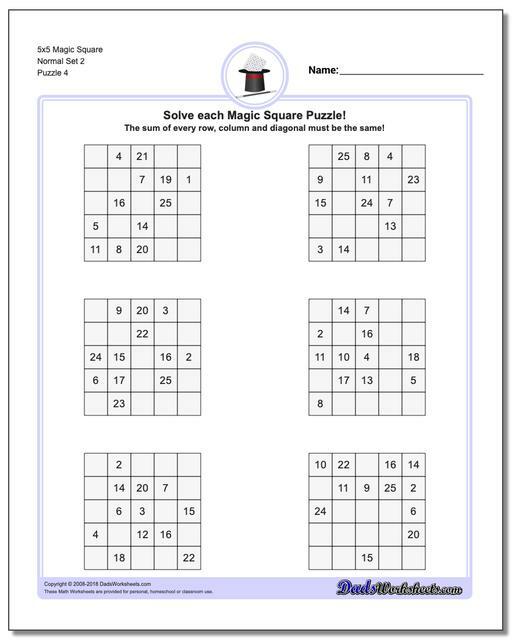 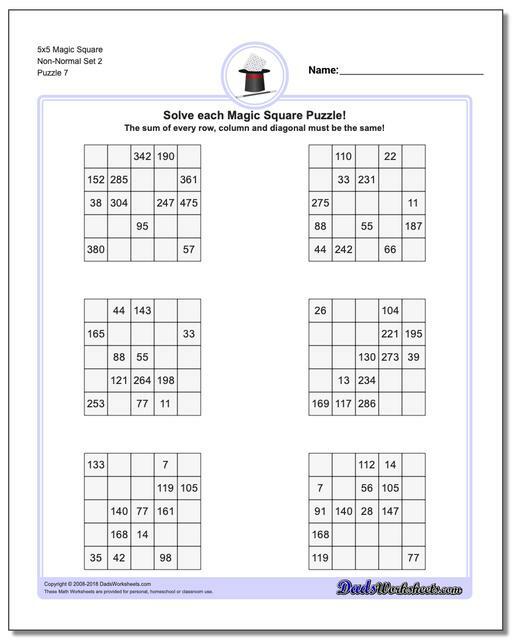 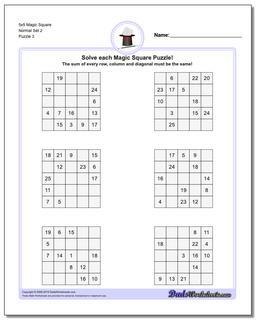 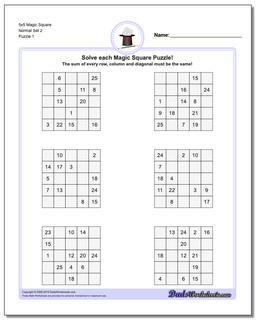 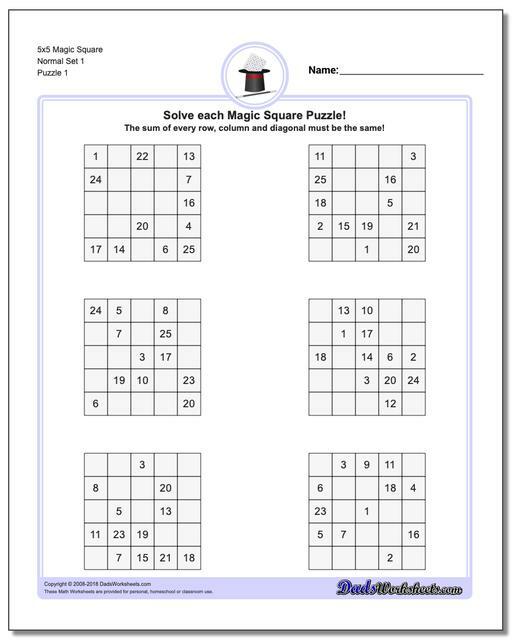 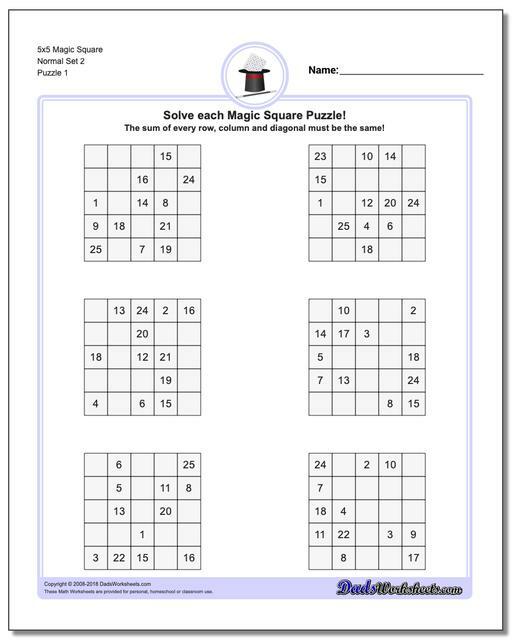 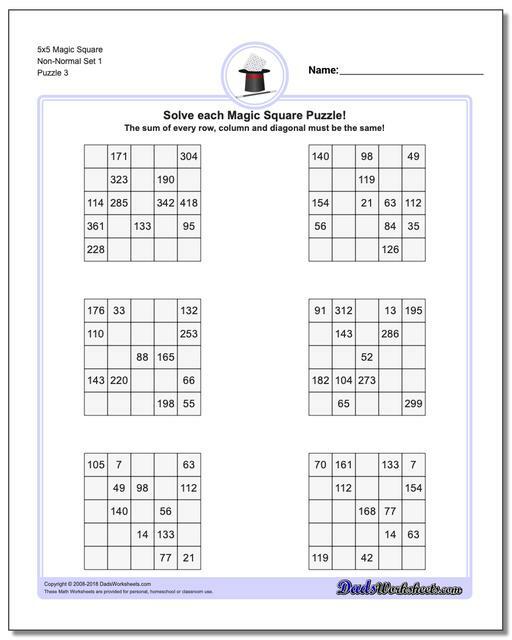 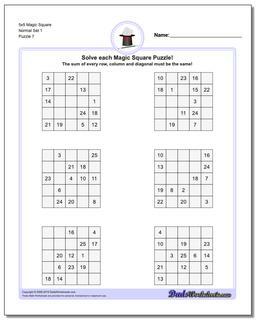 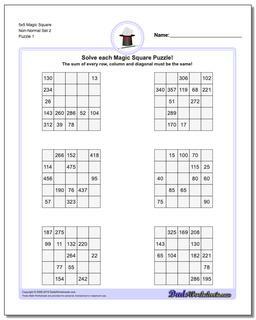 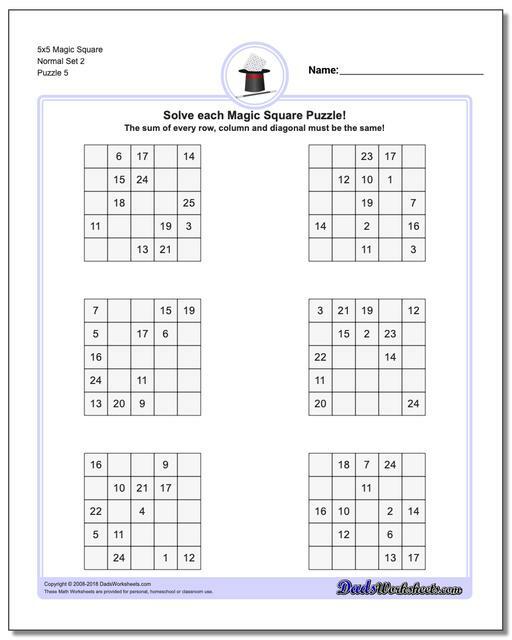 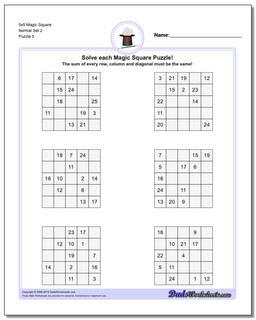 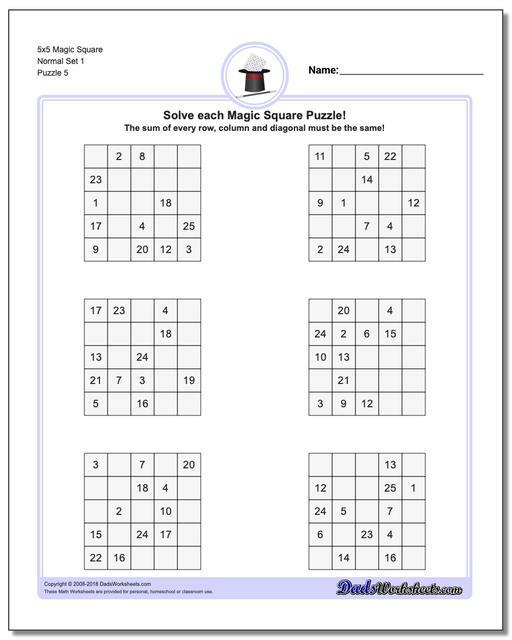 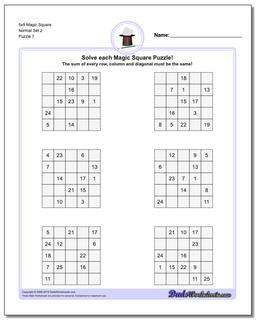 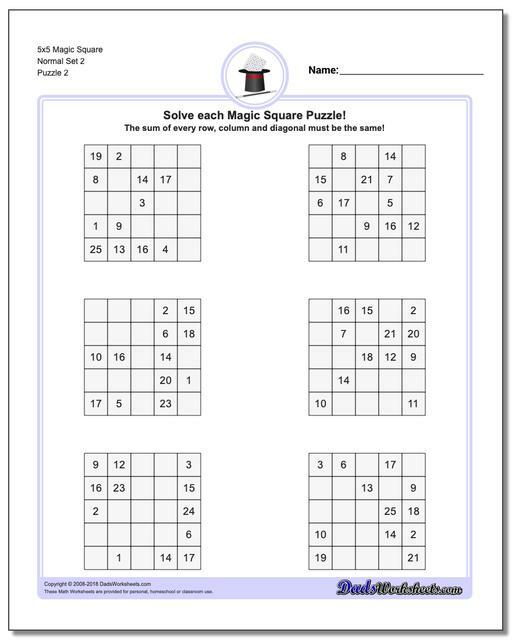 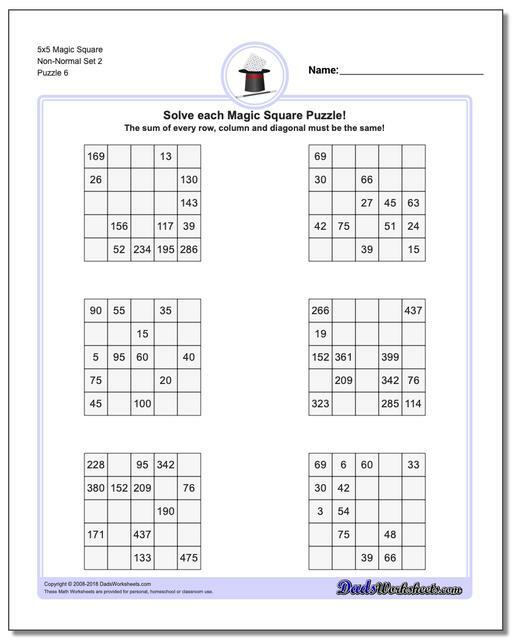 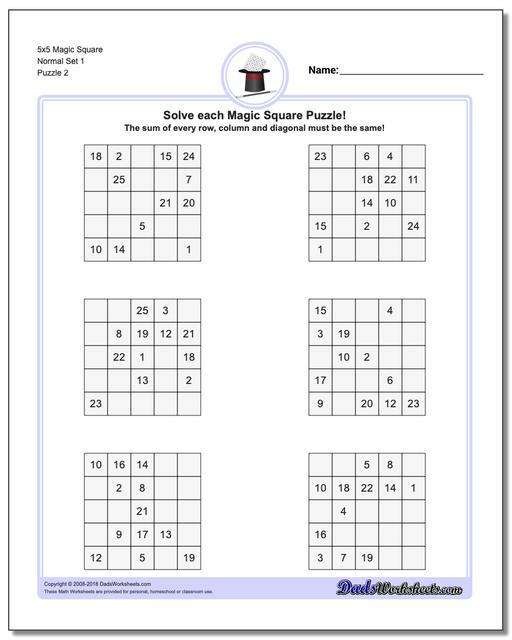 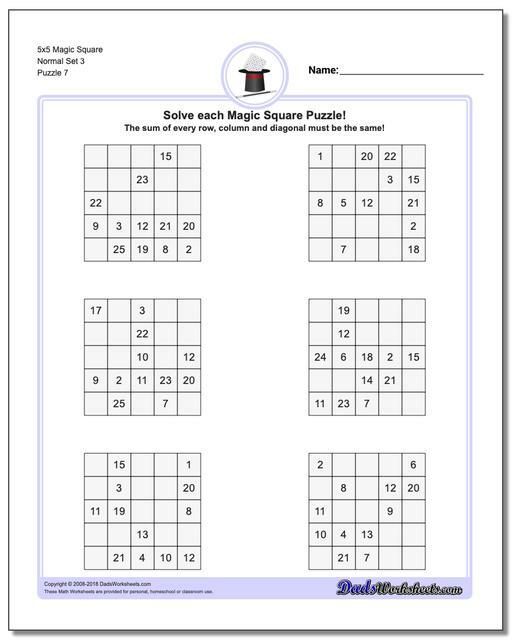 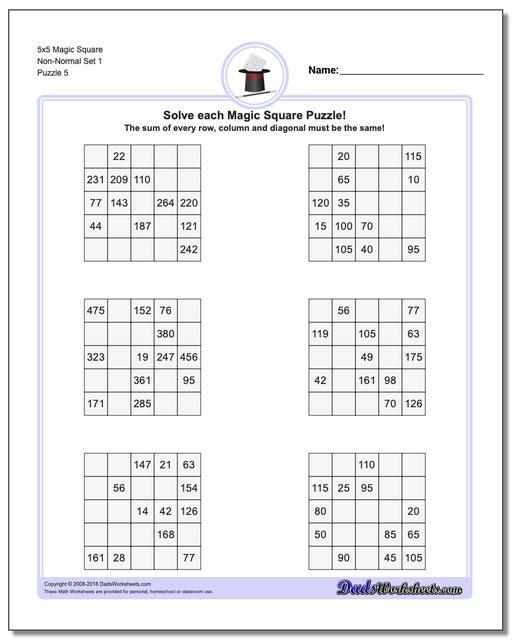 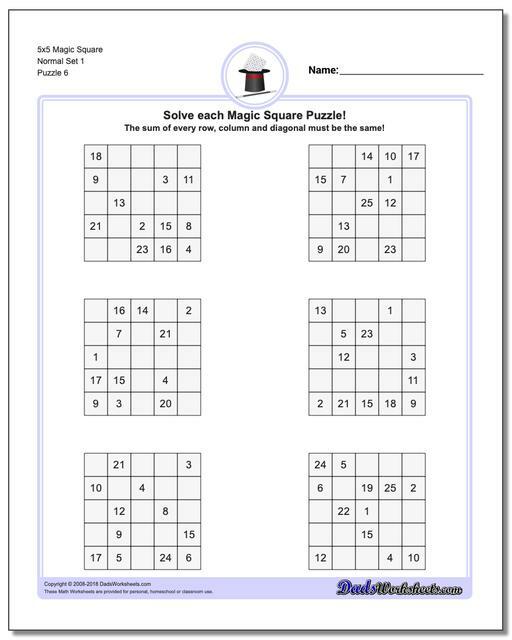 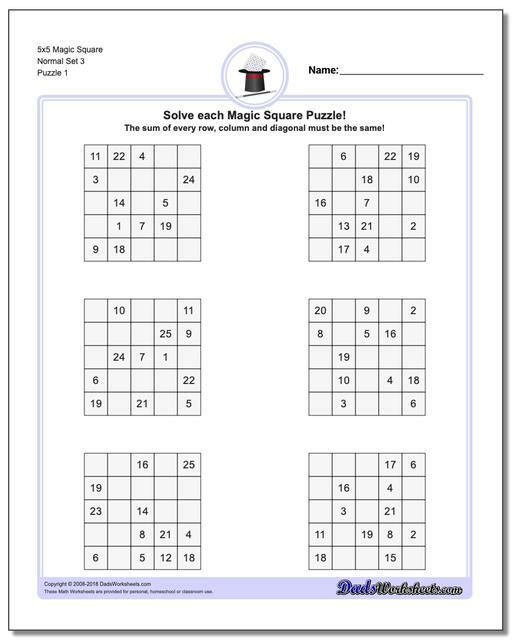 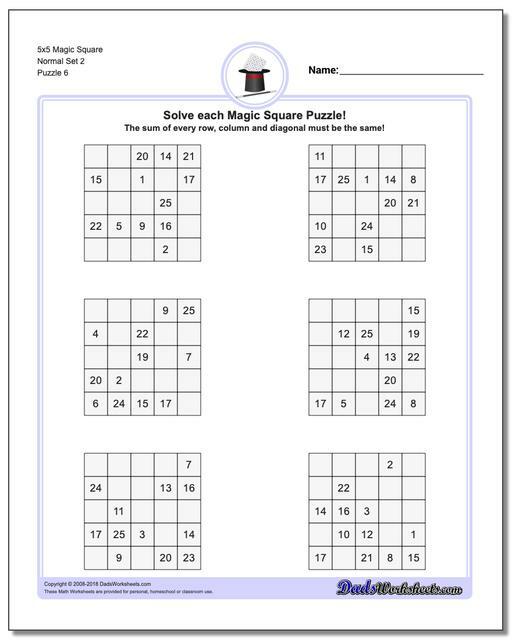 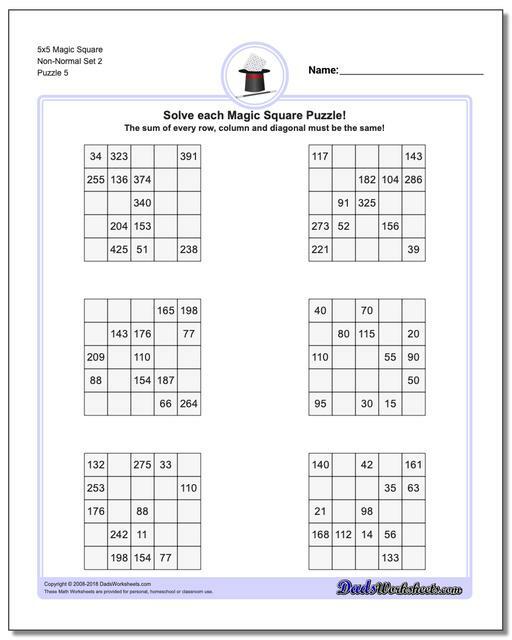 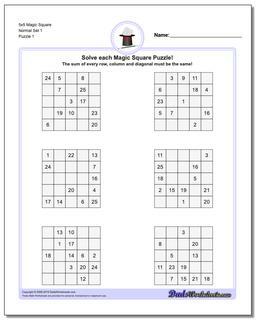 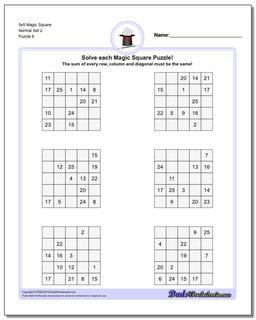 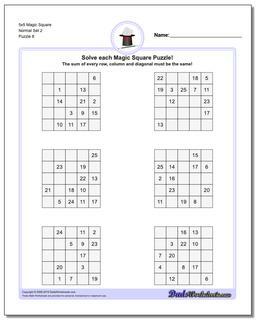 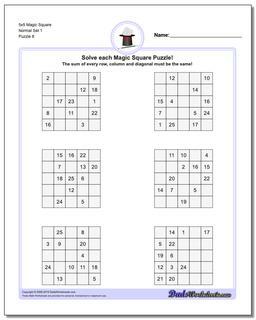 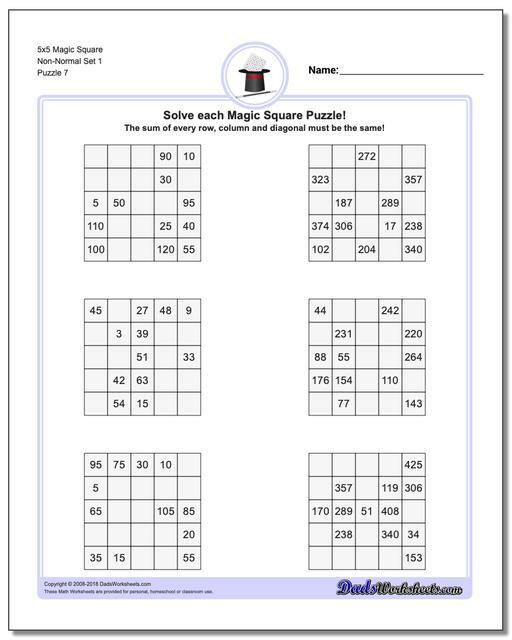 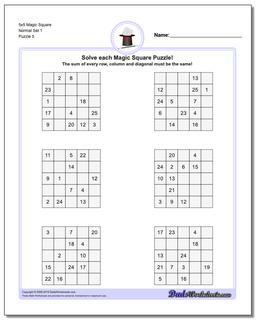 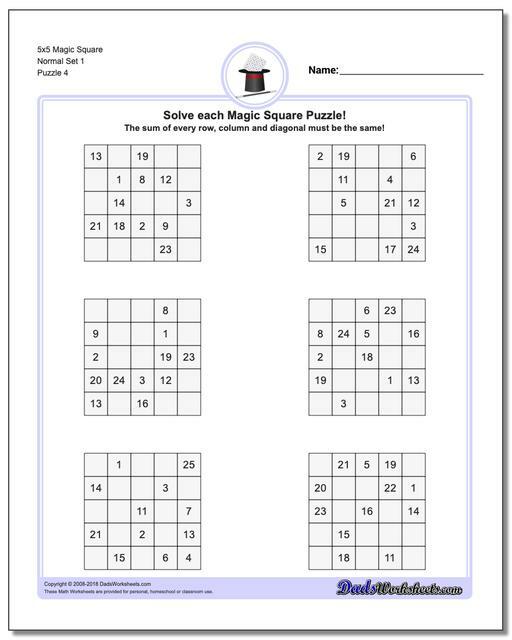 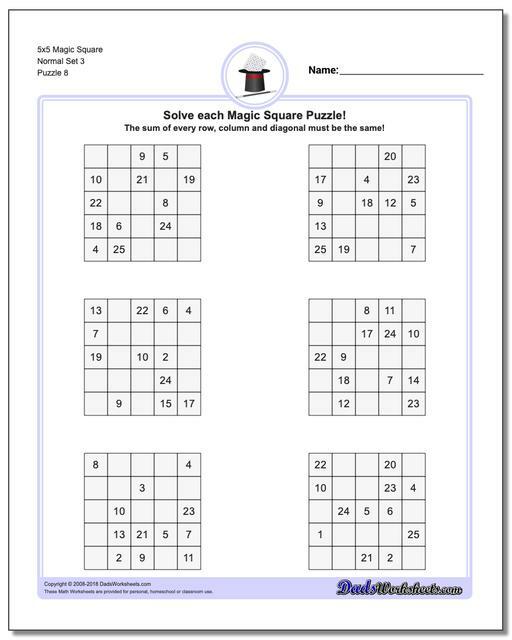 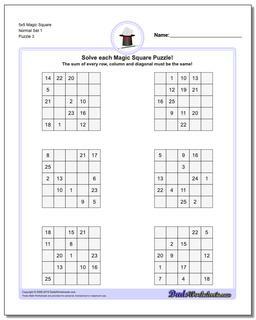 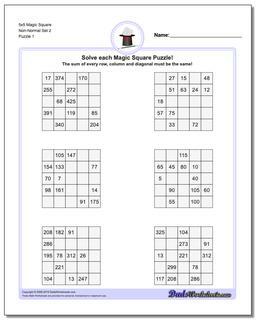 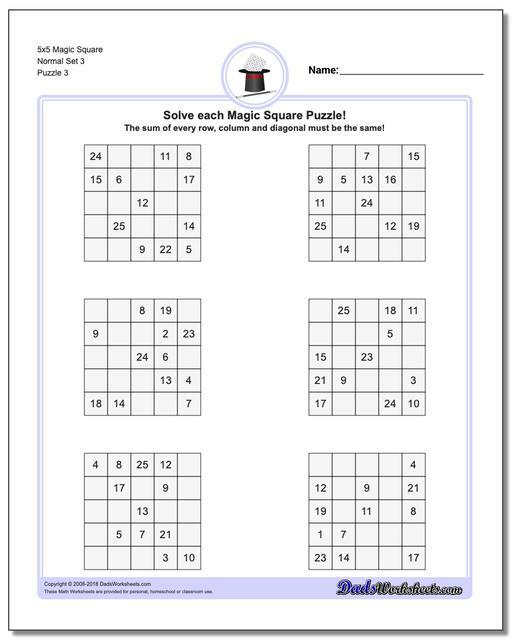 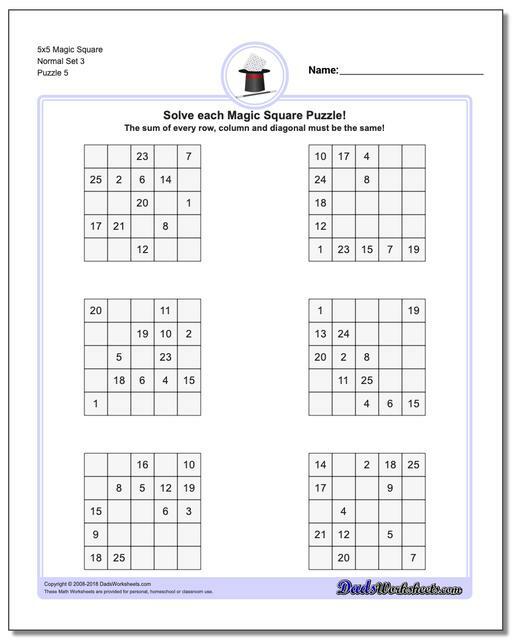 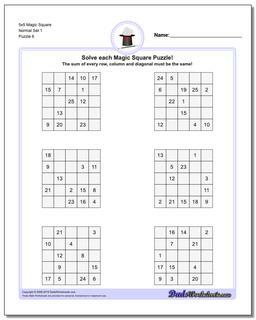 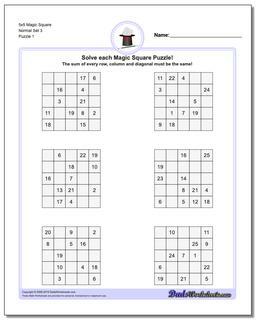 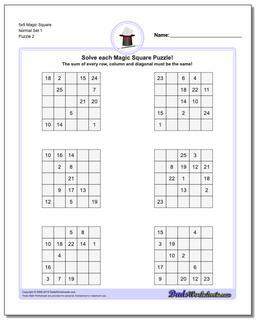 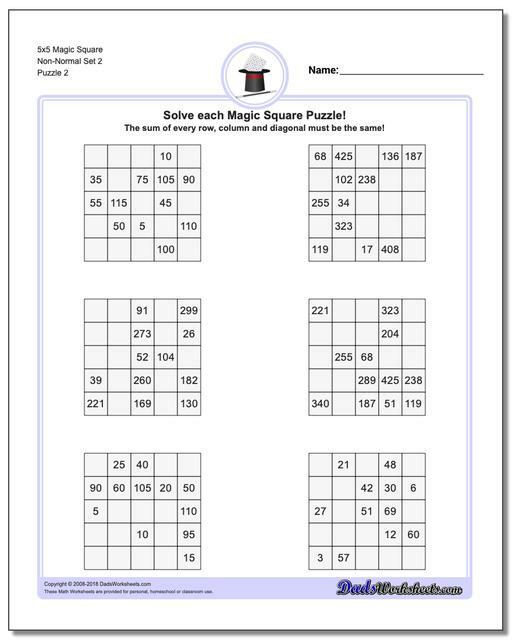 If you've worked the puzzles in the previous sections, you're ready for these 5x5 (order 5) magic squares! 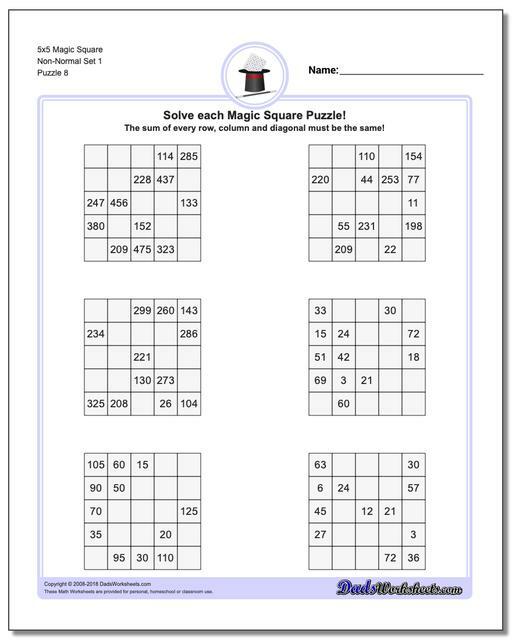 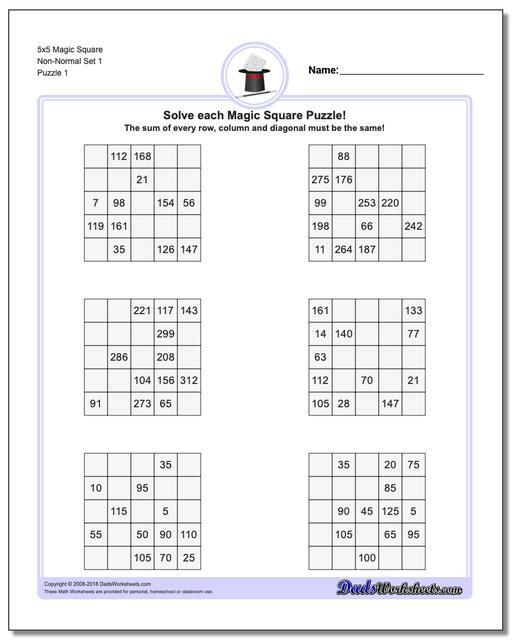 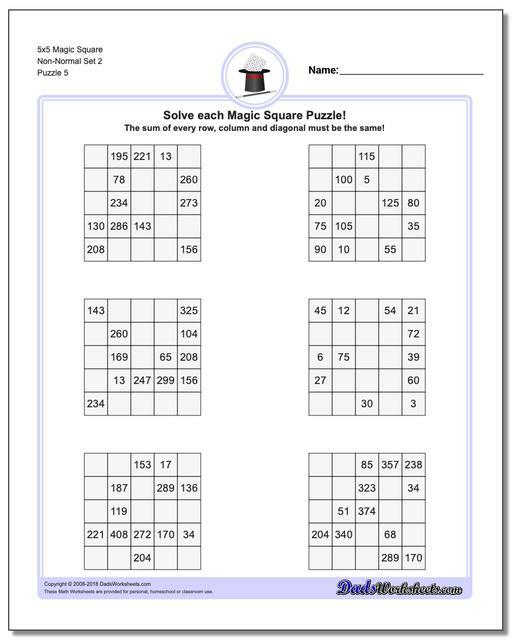 The worksheets with normal variations of these puzzles (5x5 puzzles that contain only 1-25 in their cells) have a magic constant of 65 no matter how the numbers are arranged in each puzzle. The later puzzles in this section are non-normal magic squares, so the sums for those puzzles will be a value larger than 65... Part of the extra challenge of solving these puzzles is determining what the correct sum will be. A 5x5 magic square has exactly 275,305,224 distinct normal solutions (ones that are unique ignoring variations that are reflections or rotations). 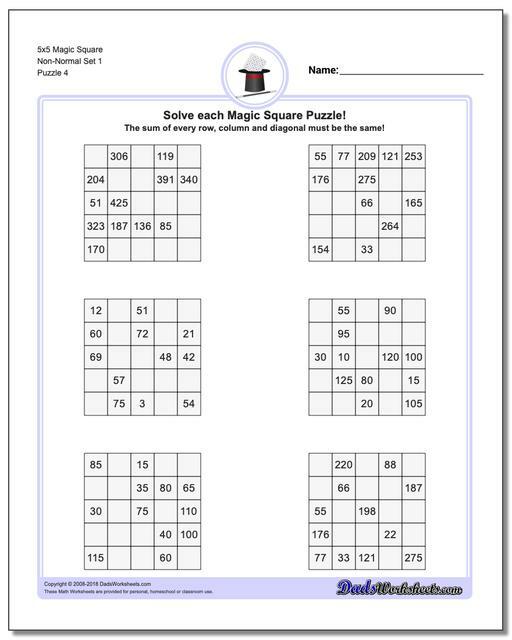 That's a lot of puzzles! 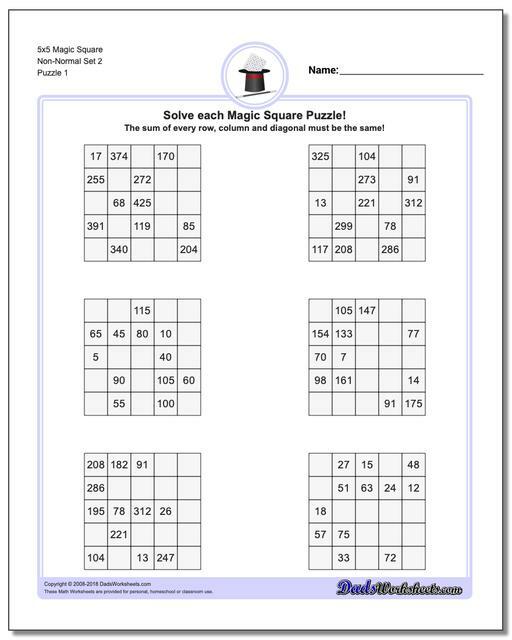 The puzzles here are a random selection that should keep you busy.